We are near the end of January and I still can't believe that by the end of July me, my partner and my girls will be welcoming a new baby into our family. I thought my days of pushing a pram, changing nappies, cleaning up sick, sleepless nights and feeds were over for quite a good few years. We kept Elliw's pram away nearly a year ago now and I remember I felt so weird but also felt a little free without having to push a pram. But a year down the line I will be pushing a newborn baby around. I am getting overly excited now. It is going to be a huge change for us. On the weekends Mia goes to her Dads for one night. One week it will be Friday evening until Saturday evening, the following weekend will be Saturday morning until Sunday evening and so on. So we only have Elliw on the weekends, so it is going to be different when Baby arrives. I am pretty worried about the first couple of months. If I do succeed in breastfeeding (cross fingers) I know that most of my attention will be on Baby. It will be the Summer holidays when Baby is born, unless induced earlier but my partner will be home for 2 weeks paternity leave, so he will be a big help with the girls for me. I do think Mia will be ok, but I think Elliw may be harder to get used to the change because she is a very adamant kind of girl. She wants things there and then, she can be very impatient but she is getting a little better. So hopefully when she is older, she will calm down in that way. I've had a little talk with Mia, telling her she will be moving into Elliw's bedroom and sharing that bedroom so the Baby can have her small bedroom and she seems totally happy about it, thank god! I will be posting updates of their new bedroom once we start sometimes next month. A lot of things are going to change in the house and I am really hoping everything will be ready by June the latest. I can see this as a new challenge for us. But I can not wait. 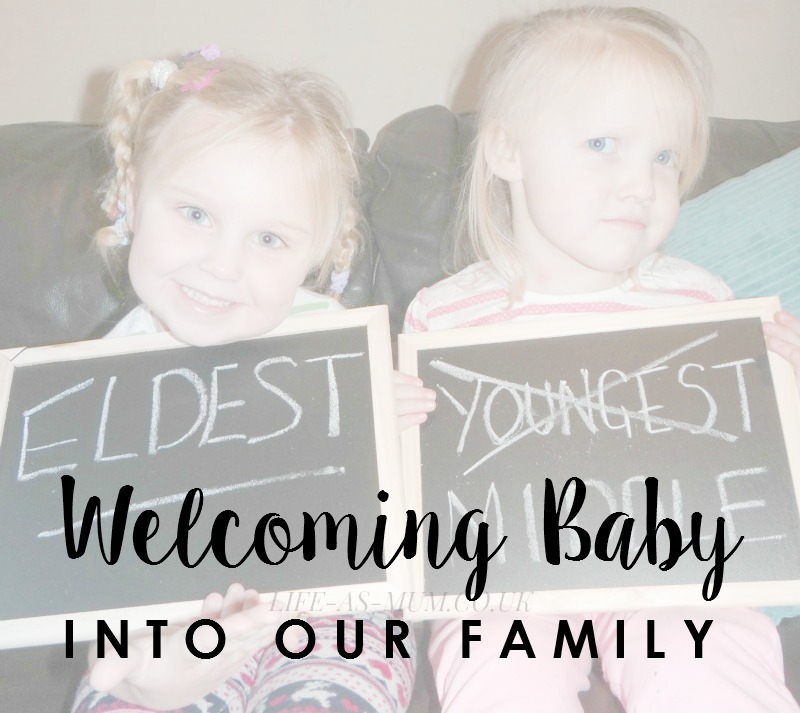 It's going to be so exciting and so special welcoming Baby#3 into our family. Eeee so exciting! Good luck with it all and I really recommend joining some Facebook breastfeeding groups, they were SO useful to me in the early days! This is definitely super exciting to hear! I hope the transition goes well for everyone in the family.